It is finally here! It was my 2nd winning award at iModeler and complet surprise for me, so you can imagine how happy still I am. 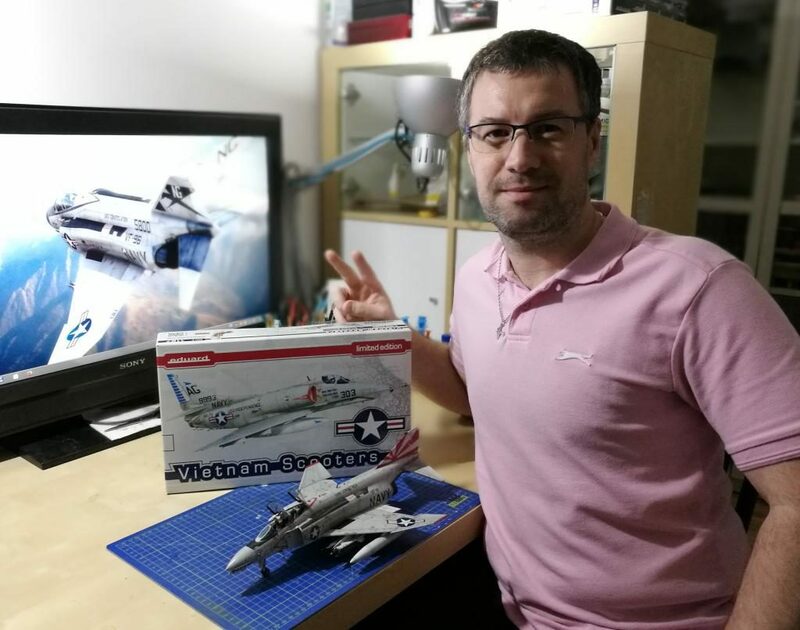 Let me say BIG thank you all guys and girls once more, you are truly amazing community around iModeler and I always feel very comfortable and getting positive energy here. I wish you all many nice builds bringing you a lot of pleasure and fun. Nice choice of kits, Martin….a really nice one – you’ll like it a lot. I see you have an affinity for Phantoms as well (my favorite, too). Congratulations! Looks like you are going to be busy Martin. Good to hear that your good lady supports your , so does mine. She actually builds as well. Nice choice,have fun with the build. Congrats Martin !!!!! Nice F-4 by the way…………..
Congratulations! You can never have enough A-4s! Congrats, Martin! Well deserved Sir!! I look forward to seeing it built! Congratulations. As mentioned above, well deserved.